It’s midnight…way past my bedtime. My aching limbs are longing to curl up under the thick quilt, my back wants to stretch out in bed, and yet I am ignoring all those signals, straining my eyes to finish writing what I started. And when I do all the pain just seems to melt away as a sense of pure satisfaction and relaxation creeps in. I fall down in bed to a deep undisturbed sleep. I started blogging more than two years ago. Some random thoughts, the need to communicate and a bit of spare time gave birth to the idea. Encouraged by family and some other like-minded bloggers in cyber-space, one fine day in the month of May 2012 From Miss India to Motherhood was born. Finalising the blog title was easy. No arguments, debates or short-lists for that one. It was simple, it was clear, it was the story of my life. Now that was about formal writing. Informally I think I have been a writer all my life. My earliest ‘work’ consisted of a small hand-written notes, on varied pieces of paper, talking about happy occasions or to reflecting past not-so-happy memories. One such note was addressed to God, when I was around 7, urging him to help me find my missing puppy, and promising him my full faith and belief in His existence, in return. After days and weeks of waiting when the pup did not materialise, I started skipping my prayers, questioned his existence and his purpose on Earth. Thankfully another incident a few years later helped me revive my faith. This time there was no note written! Scribbled rhymes, made-up verses, ramblings of everyday life turned to diary writing when I was 15. I liked sitting with my diary for ten minutes at the end of each day, letting my thoughts flow on paper. These thoughts and feelings though on the same lines as my blog today were very private. 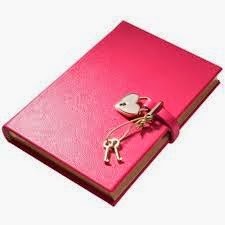 In fact I remember buying one of those diaries that one could lock away with a key! Diary writing then gave way to more detailed writing about one particular subject or event. Something that was deeply emotional like the passing away of my dogs or something exciting that I was looking forward to – like my entire pregnancy documented! I have also written about a few memorable holidays, like the ones to Tenerife, Spain and Cornwall in England. Writing like any other form of art brings happiness and a deep sense of satisfaction. And while some form of writing works best when it is private; making your thoughts and feelings known to the world brings in a different kind of energy. After I write each post, I check it for errors and then can’t wait to click on the ‘Publish’ button, so that the world can read my words, see what I see and feel what I feel. Each ‘like’, each comment after that is an added bonus filling my cup of happiness to the brim. Honestly I don’t mind a bit of overflow too, so go ahead and share your thoughts with me! A note of thanks to co-blogger Being Zoes Mum for giving me the idea of today’s blogging topic.